Alfredo Lopez, Chief Executive Officer, is a civil engineer from Javeriana University, Bogota-Columbia. With 17 years of experience with Feasibility Studies, Building Design and Construction Management, he has been involved in the design and construction of 6 Comprehensive Cancer Centers: (Newton, KS., Emporia, KS., Hastings, NE., Salina, KS., Bolivar, MO., Great Bend, KS.). 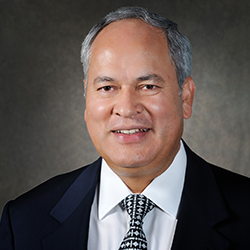 Alfredo is an active member in American Society of Therapeutic Radiology and Oncology, Society of Radiation Oncology Administrators and he was awarded the Kansas Department of Commerce & Housing Award of Merit in the year 2000.